Just over a month ago I moved house… and let me tell you that process produces a tremendous amount of trash in the form of packing materials Although most of it got recycled I held back on a few choice pieces of cardboard and some packing paper. Most of our stuff has gone into storage and while our lovely town house is beautifully decorated, it is missing a bit of wall art. 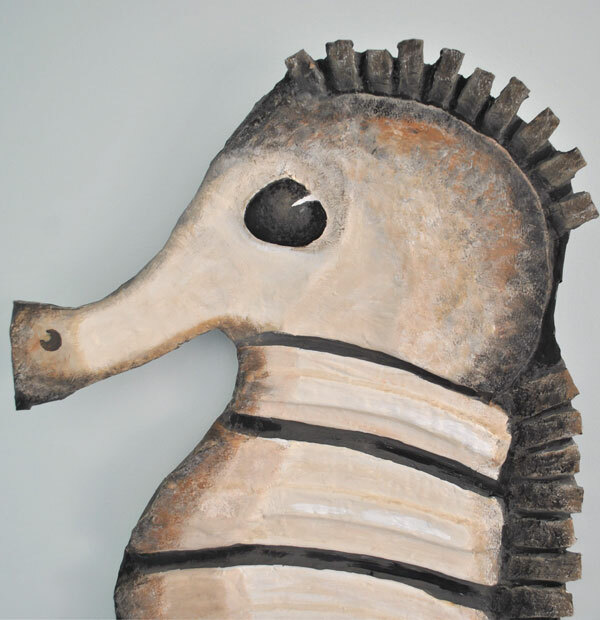 Nothing that can’t be fixed by a creative use of cardboard and a bit of paper mache. 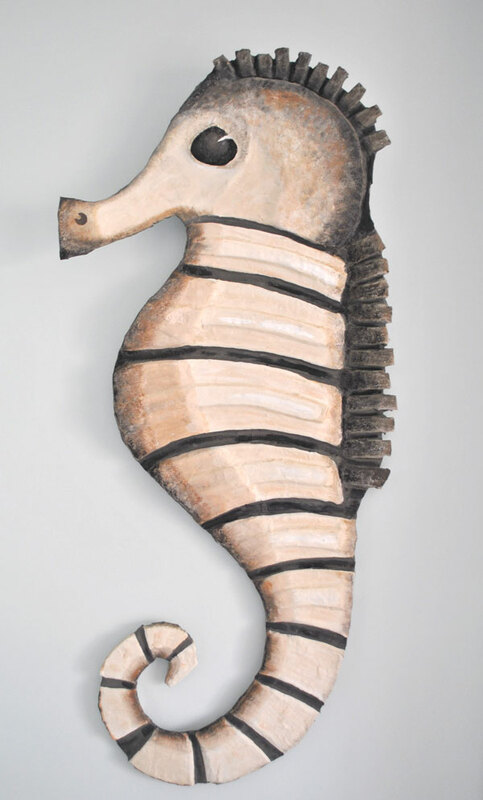 Behold a lovely new sea horse I have named Sebastian. 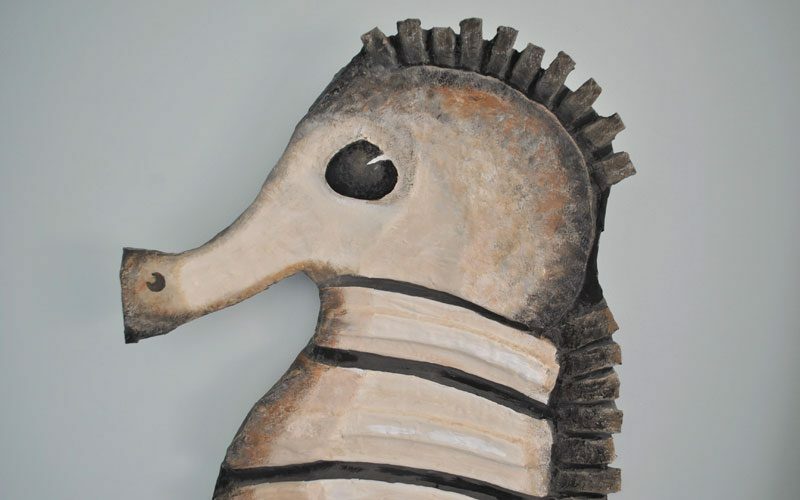 I am sure he will be good friend with Sally the driftwood sea horse who is currently in hibernation, somewhere in Ohio I believe! 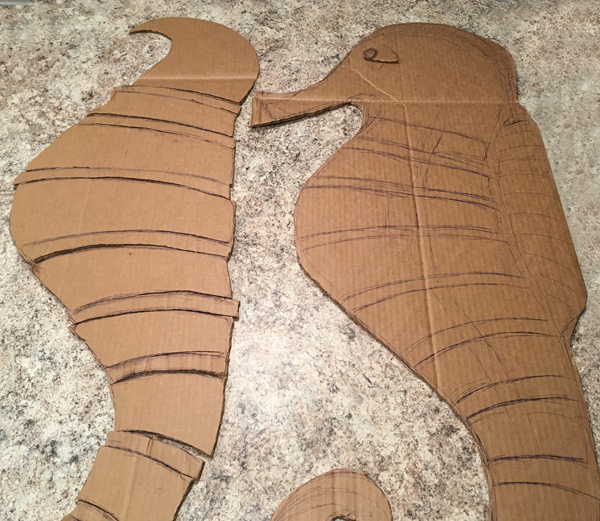 This project did take a little longer than I anticipated but is not at all difficult and if you would like to make one too this is what you will need. 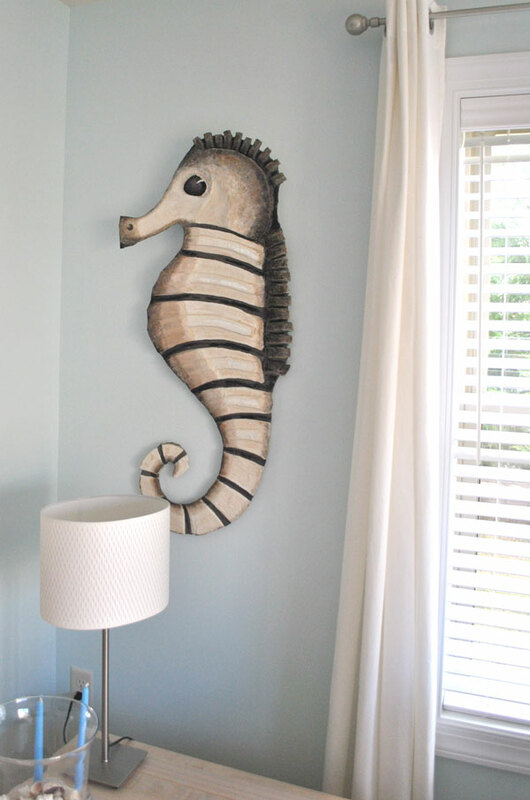 Start by sketching out your sea horse shape and any embellishments you’d like to have. Using a craft knife cut it out. 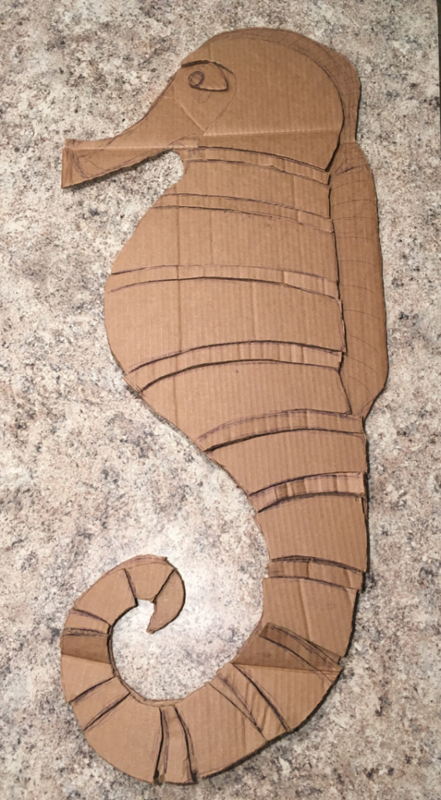 Then by using your first cutout as a template cut out another identical shape but this time cut out the embellishments. 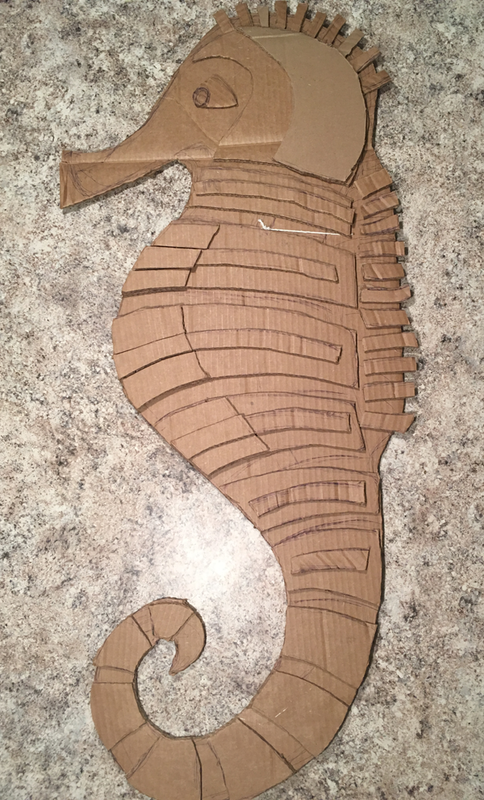 With a hot glue gun stick down the embellishment pieces to creature a 3d texture. 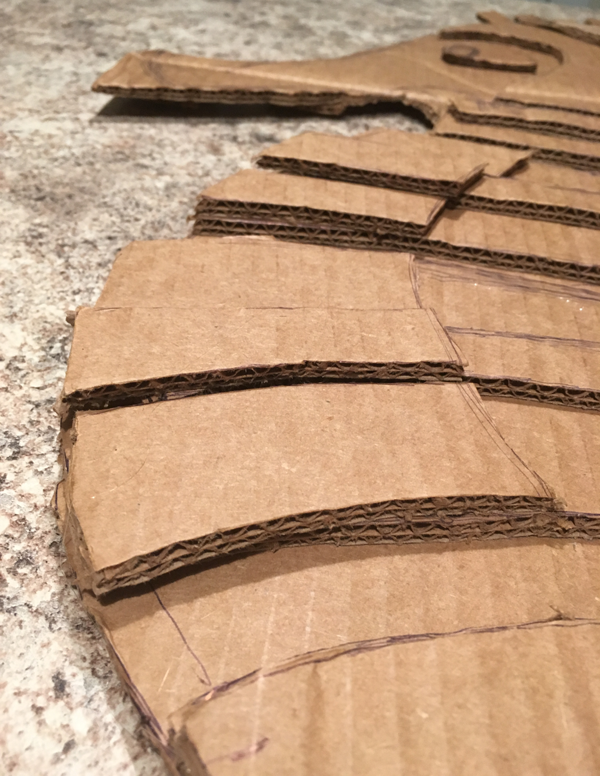 I ended up with some areas with 3 thicknesses of cardboard. Punch a couple of small holes and thread some string through to create a means to hang when your masterpiece is done. 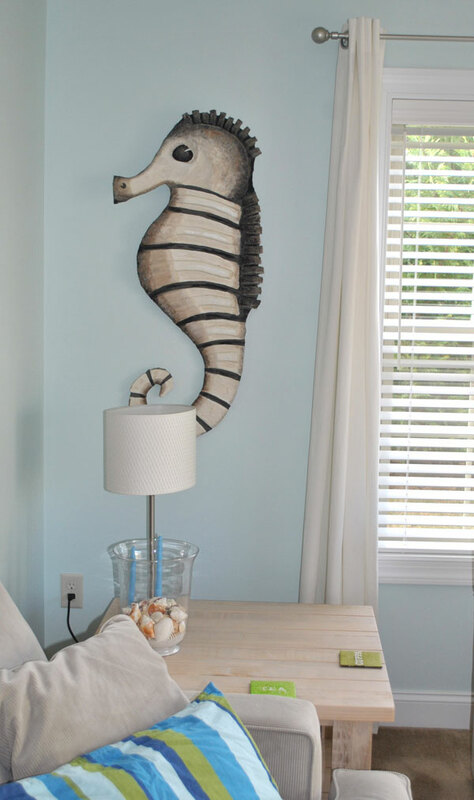 Finally paint …really however you like. I used just fours colors, black white and two tones of brown. I used a dry brush technique to create the feeling on stone. 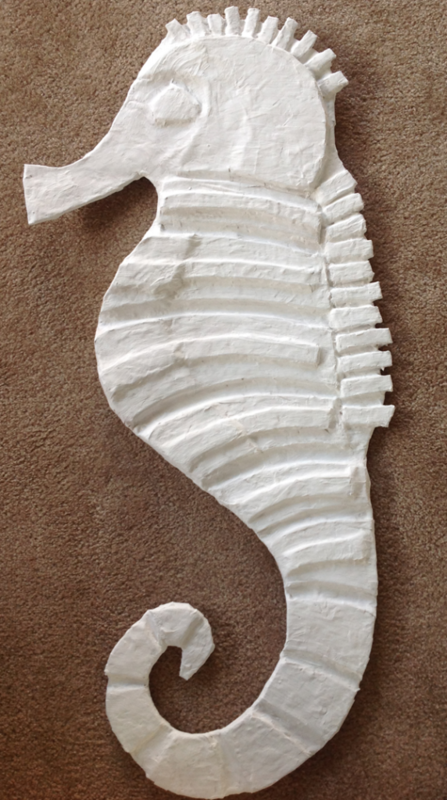 This entry was posted in Art, Art Tutorials, Coastal Crafts, Coastal Decor, Craft Projects, Decorative Accents, Home Decor, Paper, Trash to Treasure and tagged budget, coastaldecor, seahorse, wallart. Bookmark the permalink.